“Have carry-on will travel” is my motto, but when I’m not on the road, I’m living in the spa capital of the U.S., Scottsdale, AZ! I’m originally from Milwaukee, WI and I’m still a die-hard Green Bay Packers fan! I started blogging because I was already traveling the world on assignment for different magazines, and clearly online is the way the industry is heading. I have been to 52 countries, and I cover luxury wellness travel worldwide. The Travel Diet is all about showing people how they can travel the world in luxury AND use travel as a wellness solution. With The Travel Diet you can lose weight and reduce stress by traveling. Deadlines! Or simply being so excited after a recent experience that I want to write about it right then and there. Because I also work as a magazine journalist, many of the travel opportunities have come from that. My blog is a bonus for the destination to receive additional coverage. I have had the opportunity to do guest blogging and sponsored posts through The Travel Diet. First, focus on the writing. As a journalist, I’m looking for a blog that is well-written and informative. If you want to make money from your blog, be professional. 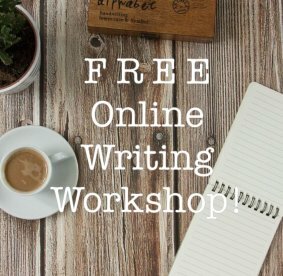 While your voice should be unique and can be casual on a blog, it shouldn’t be sloppy. Spelling and grammar matter. Don’t fill your blog with emojis and exclamation points and expect to be taken seriously. Also, don’t expect to make a full-time living from a travel blog. Some do, but very, very few. I would also suggest having a niche.